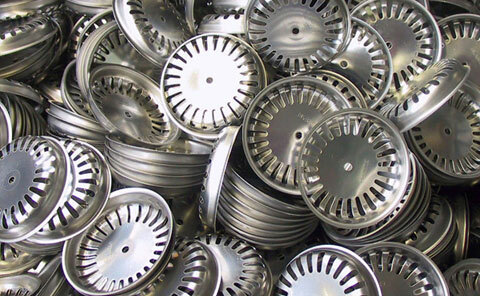 With their flawless performance, hundreds of EVT degreasing plants contribute to the manufacture of high-quality products in a wide range of industries. The first step in designing an EVT plant is to examine the parts to be degreased with regard to geometries, dimensions and properties. 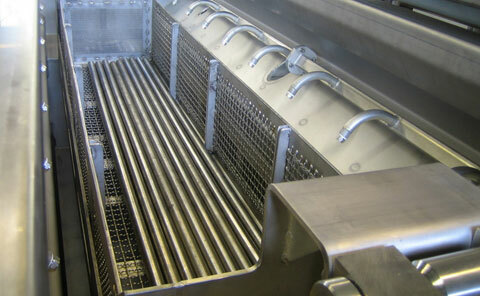 The processing steps before and after degreasing and the desired freedom from grease and oil determine the choice of cleaning medium. Every EVT plant is custom-built to meet the customer’s requirements, as well as being perfectly adapted to available installation space and fully integrated into existing production processes. And best of all, our bespoke EVT special-purpose plants are no more expensive than “off-the-shelf” standard plants. The secret is our modular approach to designing and building them. We are looking forward to receiving your inquiry! Many EVT plants are already being used to support the manufacture of aircraft and propulsion systems. GIGANT plants are typically used for these applications and are equipped with appropriately sized working chambers to accommodate the large parts requiring cleaning. Degreasing of turbine parts, honeycombs for stabilising wings, rotor blades, chassis sections and related components calls for mature technology that goes beyond normal standards and includes special options for optimally treating critical and hard-to-clean areas. Degreasing of the interiors of hydraulic lines with multiple bends is just one example of the challenging tasks that are perfectly performed by EVT plants. Our corporate philosophy, “Made to measure and need”, ensures that our customers receive special plants that are tailor-made to fulfil their particular requirements without costing appreciably more than “off-the-shelf” plants. The secret lies in the modular design of our plants. Plants can also be prepared in advance for later addition of some options such as rotating devices. This keeps the purchase price of your EVT plant reasonable: it meets TODAY’S requirements while being ready for TOMORROW’S eventualities! Like few other areas, contract degreasing is confronted with a steady stream of different challenges which can change literally overnight: the dimensions, weights, or other properties of the parts to be cleaned can vary greatly. This calls for all-rounders which, in addition to being equipped with large working chambers capable of accommodating considerable weight, must also offer a host of additional features such as flooding, spraying, rotating, vacuum distillation, swarf filters etc. In order for contract degreasing companies to confidently accept new jobs in rapid succession and know for a fact that they will be able to perform them easily and professionally, their equipment has to be first-rate. For many such companies today, the ideal choice is therefore a GIGANT! In the case of the GIGANT, our engineering flexibility is not limited to a large range of chamber sizes and options. Since the switch cabinet with the integrated control module and activated charcoal filter can be disengaged from the actual working chamber and tanks, in most cases it is a simple matter for us to adjust the system to suit conditions in your production facility. We are looking forward to your inquiry! 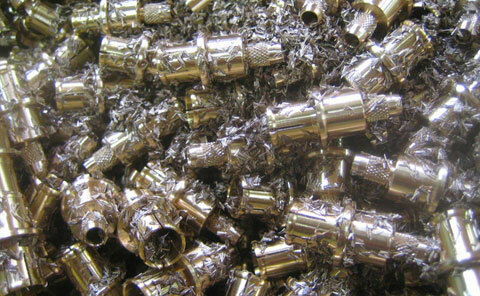 One of the specialities of EVT Eiberger Verfahrenstechnik GmbH is cleaning of optical parts. We have already met many of the multiple requirements posed by the optical industry, using a wide range of cleaning media. 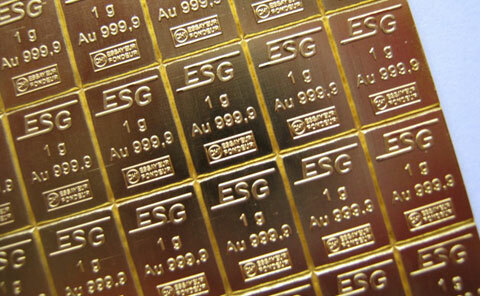 EVT systems of several series are used by major internationally known firms in this sector. We cordially invite you to visit our plant in Sternenfels, Germany. There we can discuss practical details with you, plan the first steps towards customising a system to meet your needs, and carry out cleaning trials in our test centre. We are looking forward to mastering your challenge! “Made to measure and need!” The plant type shown above was developed for treating pipes up to eight metres long, focusing on degreasing their inside walls. Plants for even larger parts are possible and can be built by modifying this design to meet specific requirements. Vertical oscillation, which had already proven itself in our GIGANT models for degreasing shorter pipes and tubes (for example, gun barrels and ring blanks), has been shown to be especially effective for these applications as well. We are looking forward to mastering your challenge! 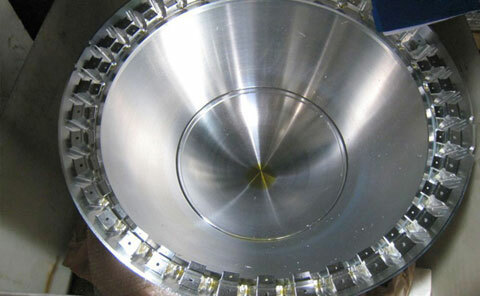 Our mature process technology ensures that even complex parts with unusual geometries, undercuts, indentations and cavities are cleaned perfectly. After degreasing, appropriate devices take care of quickly drying the parts and decontaminating the working chamber to maximise throughput. Thanks to their modular design, our bespoke special-purpose plants are superior in every respect to “off-the-shelf” plants. We are looking forward to addressing your special requirements and are confident that you will be satisfied with our state-of-the-art solutions and the outstanding value for money they provide. 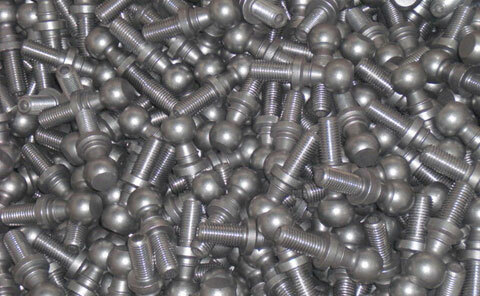 Metallurgical heat treatments require parts to be thoroughly degreased beforehand. In order to do so, relying on our experience and expertise, market leaders across Europe have integrated GIGANT plants into their operations. The plants of this series can be ideally customised to meet the requirements of each individual case – and to grow with our customers’ needs. 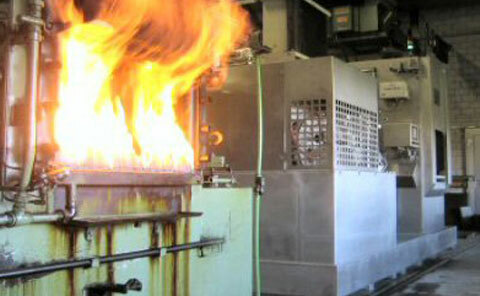 To date, we have built plants for batches weighing up to 14 tonnes and working chambers with “gigantic” dimensions in response to the sizes and volumes of the parts to be degreased.The illustrations impressively show the advantages of using non-combustible solvents such as chlorinated hydrocarbons (CHCs). Among other things, they make it possible to operate annealing furnaces and degreasing plants very close to one another. EVT plants can be loaded in a variety of ways: with rail-mounted carriages, robots, manually, automatically, or using a pallet jack. For safety reasons, all EVT plants are TOP LOADERS.If front loading is wished, we can meet this need with our safe FRONT-TOP LOADER design. Initially, the parts to be degreased are loaded from the front, but once the have entered the plant they are lowered – top loaded – into the working chamber. After the parts have been loaded, before starting the degreasing process, the working chamber is hermetically sealed from above by a lid. As a result, the FRONT-TOP LOADER never has solvent behind a loading door! For applications that generate large amounts of residual oil, we offer integrated vacuum distillation for gentle solvent recovery. Whereas atmospheric distillation only permits a solvent-oil ratio of 50:50 (plant residues contain one litre of solvent per litre of oil), vacuum distillation makes it possible to remove all but one per cent of the solvent from residual oil. Limits are only imposed by the need to keep post-distillation residues fluid, since they have to be pumped out into a container for disposal. We are looking forward to mastering your challenge! 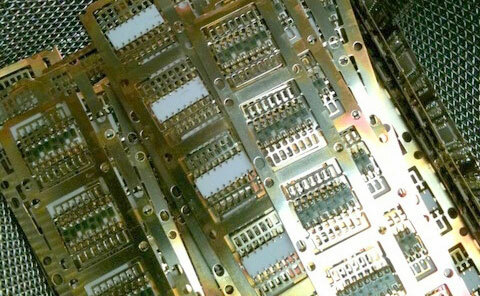 Electrical parts that require cleaning are generally small or very small with greatly varying shapes and geometries. 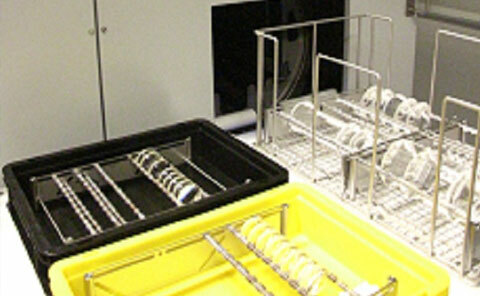 This poses a correspondingly wide range of cleaning and degreasing challenges. Depending on throughput, different plants of the BAMBINO or LIMPIO series are suited to meet them. For one company of this sector that is active throughout Europe, we built a LIMPIO that is able to degrease up to 864 baskets per day in two working chambers. One very special requirement for this project was degreasing of parts in closed Schäfer boxes. The plant is loaded via a three-track loading system in which the baskets pass beneath a scanning bridge that identifies them as they travel to the two working chambers, which operate independently. The selected program is read from a plasticised exchangeable chip and transmitted to the controller, which then guides the basket to the next free working chamber for cleaning as programmed. 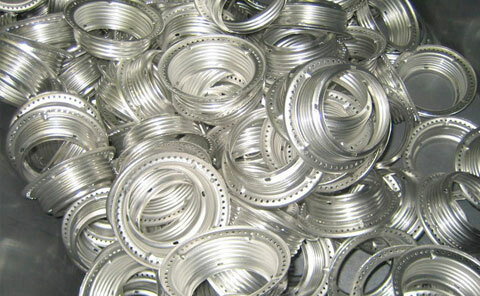 After degreasing, the baskets return fully automatically to the starting point via the upper level. The plant complies with all of the customer’s specifications and even exceeds them in terms of hourly throughput: degreasing in closed Schäfer boxes, basket loading and removal at the same point, up to two hours of untended operation, 36 baskets an hour. The same company also uses two other plants – a manually loaded BAMBINO and another with automatic loading – to locally degrease small quantities and smaller numbers of batches right where they are needed. We are looking forward to mastering your challenge! 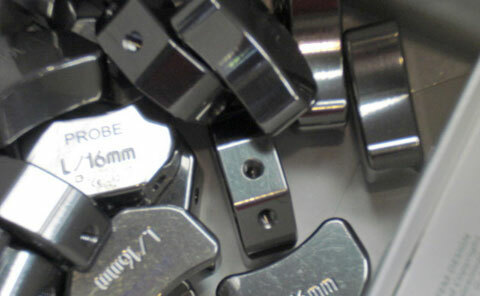 Corresponding to the wide range of parts that are manufactured in this field, EVT offers a similarly broad spectrum of plants and optional features for cleaning and degreasing them.At the small end of the portfolio are the BAMBINO and NANO, which are suitable for cleaning and degreasing dental implants, for example. A larger example is the GIGANT for degreasing artificial joints. In all cases, in designing your plant we focus on the parts to be cleaned and degreased, their shapes and any possible undercuts, indentations and cavities. This results in an EVT plant that is equipped with all essential auxiliary functions while dispensing with those you will not need. The result is a bespoke, affordable special-purpose plant that is superior to “off-the-shelf” plants in every respect.We are ready and willing to meet your needs and are looking forward to your inquiry! 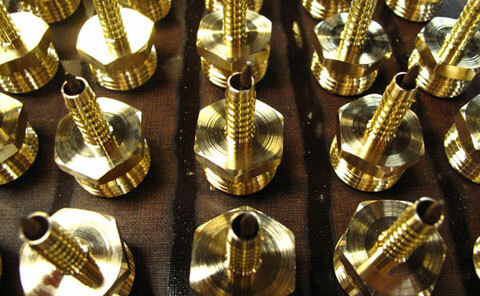 Surfaces can only be given a flawless finish after having been perfectly degreased. More than 16 years ago, in the early days of EVT, high-quality lamps made in the German state of North Rhine-Westphalia with surfaces polished to a high gleam served as showpieces for the outstanding capabilities of the EVT plants in which they were degreased.Today, more than ever before, the huge range of processes and techniques used to treat and enhance surfaces calls for proper degreasing. But this does not mean that degreasing or cleaning must always be done with the media used in our plants, since on occasion other media are simply better or cheaper. Whatever your application may be, let us know what you require and we will apply our specialised experience and expertise to ascertain the right medium and give you a clear answer. We will also be happy to recommend another suitable company amongst those that we work with. And we will, of course, also share your pleasure at having come to the right place for degreasing with CHCs, hydrocarbons, modified alcohols or NEP.We are looking forward to mastering your challenge! The Enz District, where we are located, is only a stone’s throw from Pforzheim, which is home to major German jewellery producers. 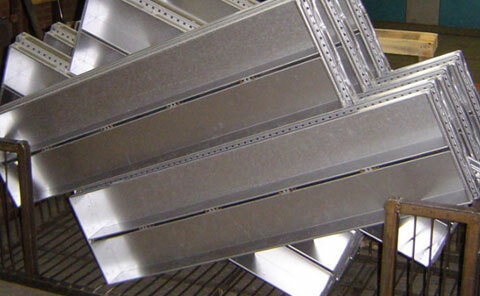 In order to serve the local clientele, years ago we developed a special degreasing plant for that industry. We christened it the BAMBINO because at the time we thought it would be the smallest plant in our portfolio. It didn’t take long for the BAMBINO to acquire satisfied users in various other fields, including medical equipment manufacture and the optical industry. Then customers in the jewellery sector expressed a wish for an even smaller plant that could cost-effectively clean items “by the handful”. We had to admit that it could be done! In response, we came up with the NANO, which is, in all probability, the world’s smallest and most attractively-priced system for top-quality degreasing. Like the BAMBINO, the NANO also attracted a variety of customers from other fields who use it very successfully, despite the fact that we did not really have them in mind when developing the plant. Will you also surprise us with your application, or can we be of service to you with our expertise in the jewellery industry? A word of warning: building an even tinier plant is out of the question! The applications for which are EVT plants are used are so diverse and specialised that it would be impossible to present them all here. But here is a brief guide to help you find your bearings:NANO: The right plant for low throughputs, small weights and low volumes.BAMBINO: Before the NANO was developed, this was the smallest EVT plant. That makes it the right choice if you need to handle somewhat greater throughputs, weights and volumes and require additional features that cannot be installed in the NANO. GIGANT: As the name indicates, this plant can acquire gigantic dimensions when the weight or volume of the parts call for it. Versions able to accommodate up to 14 tonnes at a time have already been built. But the GIGANT can also be the right plant for lighter applications and can be fitted with a host of extra features for meeting even the most complex requirements. LIMPIO: Our automated degreaser, the big brother of the BAMBINO, is used for cleaning a huge range of small parts, from bulk goods to high-end technology, and features automatic loading and basket detection. The simplest way to find out which EVT plant is right for you is to pick up the phone or send a brief email to info@evt-gmbh.eu. We will be glad to get your inquiry, answer any questions you may have and, of course, carry out trial cleaning runs with your parts at our facility in Sternenfels, Germany.